Thank you for your interest in Comicstreet! Here you'll find material that might be helpful if you are planning to cover this year's event. These materials can be used for news stories, blog posts, reports, and other publications. 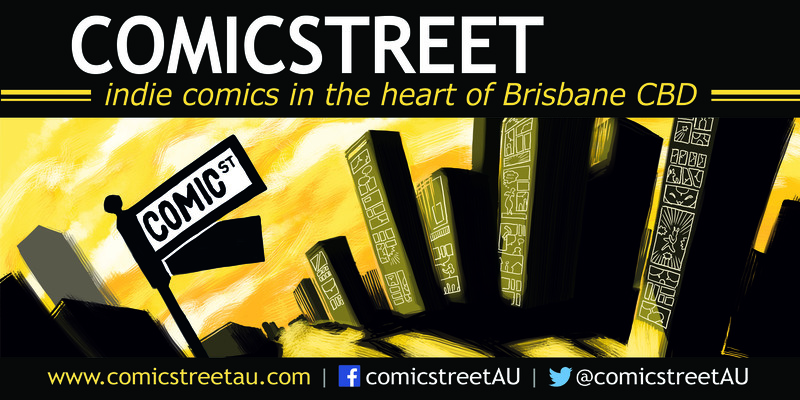 To arrange an interview with Comicstreet staff or attending artists, or discuss event day coverage, please email us. We would be happy to work with you. Artists appearing at Comicstreet are also welcome to use these resources on their own sites. 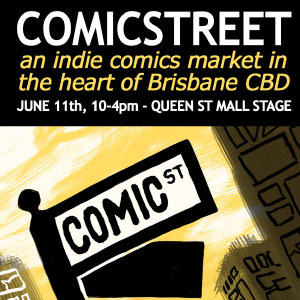 Comicstreet is an arts festival/market celebrating Australian independent comics, taking place at the Queen St Mall Stage on June 29th. Being run by artists, for artists, and with no big publishers or retailers participating, Comicstreet is a very different comics event. We have over 30 independent artists planning to attend with their comics works, spanning just about every style and genre. Independent comics don't get more accessible than this! 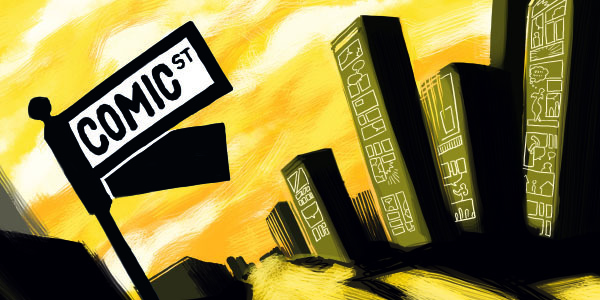 Comicstreet logo, clock for PNG. Also available as an SVG here. Comicstreet DL flyer, click for printable version.